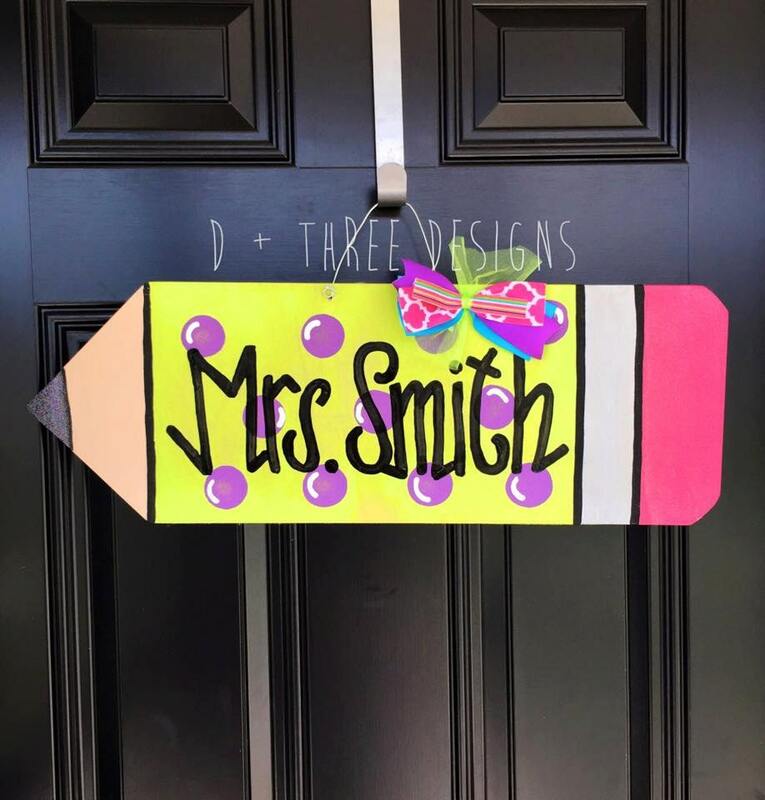 This is our hand painted personalized pencil wall/door hanger. It measures approximately 24" long and 10" tall. It comes painted and sealed with your personalized name as well as the metal wire for hanging. 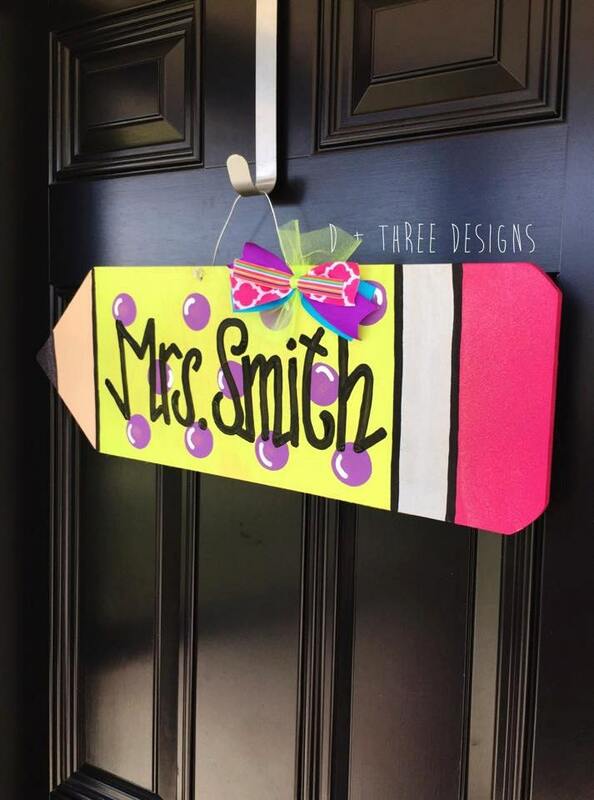 This door hanger is ready to be put up right out of the box! In the "notes to seller" box please let us know what paint color(s) you want for your pencil and polka-dots and we will coordinate it with a matching bow. We make the eraser sparkle with pink shimmer dust as well as the lead on the pencil. It shimmers with a disco sparkle! We have tons of options so you tell us and we will make it happen. Also, be sure to put the name you want on the in the "notes to seller" box as well. Please allow 1-2 weeks for your order to be made and shipped.